A major global movement is taking place to make corporations more people centric as a way of achieving great results. The world is facing a global leadership crisis. 77% of leaders think they do a good job of engaging their people, yet 88% of employees say their leaders do a bad job with engagement. There is also a high level of suffering in the workplace: 35% of employees would forego a pay raise to see their leaders fired. This is an enormous waste of human talent –despite the fact that $46 billion is spent each year on leadership development. Based on extensive research, including assessments of more than 35,000 leaders and interviews with 250 C-level executives, The Mind of the Leader concludes that organizations and leaders aren’t meeting employees’ basic human needs of finding meaning, purpose, connection, and genuine happiness in their work. But more than a description of the problem, The Mind of the Leader offers a radical, yet practical solution. To solve the leadership crisis, organizations need to put people at the center of their strategy. They need to develop managers and executives who lead with three core mental qualities: Mindfulness, Selflessness, and Compassion. 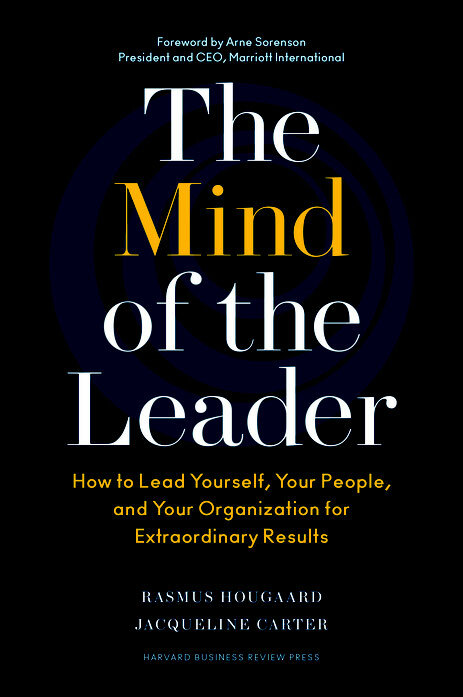 With real world inspirational examples from Marriott, Accenture, McKinsey & Company, LinkedIn, and many more, The Mind of the Leader shows how this new kind of leadership turns conventional leadership thinking upside down. It represents a radical redefinition of what it takes to be an effective leader – and a practical, hard-nosed solution to every organization’s engagement and execution problem. "How leaders communicate, engage, and show up to their teams has never been more important. Creating a world class team and environment where people can do their best work is the #1 job of a leader, and more than ever leaders are being asked to elevate team performance through innovative leadership. The Mind of the Leader shares important insights and perspectives and lays a path on how you make this happen." “The Mind of the Leader provides clear guidance on becoming a mindful leader, but also takes it a step further and introduces the practices of selflessness and compassion for leaders. In this way, the book describes the leadership of the future and how leaders enable true engagement, following, and passion. 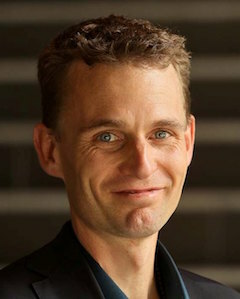 Rasmus Hougaard is the Founder and Managing Director of Potential Project, the global leader in customized leadership and organizational training programs based on mindfulness. The firm has a proven track record of enhancing individual and collective performance, resilience and creativity. Potential Project works with fortune 500 companies in 22 countries across North America, Europe, Asia and Australia. Clients of Potential Project include Accenture, Nike, American Express, Microsoft and Sony to name a few. The objective of their programs is to enhance individual and organizational performance and well-being through skillful application of mindfulness in a corporate context. Rasmus has practiced and taught mindfulness since the early 90s and has many years of experience working with leaders in bringing mindfulness and mental effectiveness into their organizations and lives. He has lead more than 1500 workshops and programs for more than 50.000 people and is recognized as a leading international authority on training the mind to be more focused, effective and clear in an organizational context. His book “One Second Ahead – Enhance Your Performance with Mindfulness” was published in October 2015 with Palgrave. His next book will be published with Harvard Business Review in March 2018. Rasmus ́ background includes a career in the Sony Corporation as well as a researcher in organizational development. Rasmus has a Master’s degree in Organizational Development & Adult Learning and degrees in Philosophy and Human Resources. In 2009, after years of working with leading scientists, corporate executives and mind training experts, Rasmus launched Potential Project. The mission of Potential Project is to help individuals and organizations become more mindful and effective in everything they do. Through the work of Potential Project, Rasmus and his colleagues have helped thousands of individuals and organizations enhance performance and job satisfaction.